The best part of summer is the wonderful array of flowers the garden has to offer, and if you look carefully you can find great roadside flowers to add to that bounty. Here is my latest collection of garden and gathered blooms in my $3 compote (yes, that price is correct!). I realize this is a departure from the ikebana works, and this is the other side of my floral design work. 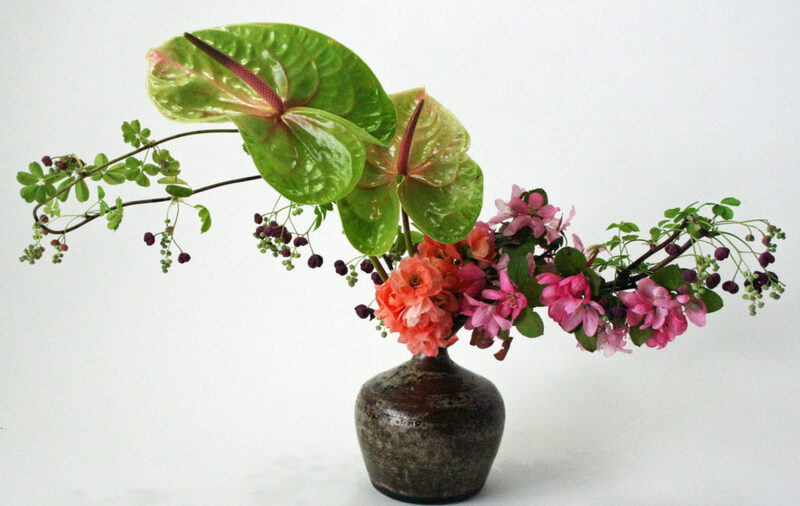 There is ikebana to come, but for now I am enjoying just making pretty work that satisfies me. I am enjoying having fresh bouquets in the apartment. 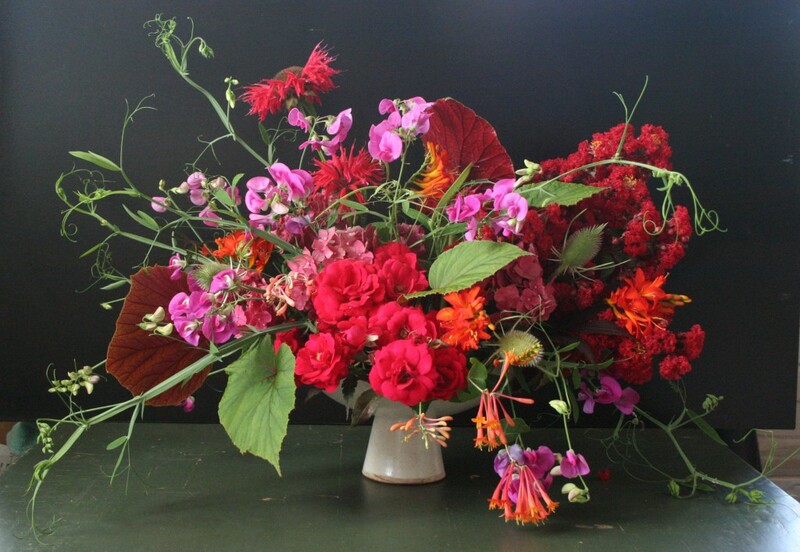 It’s great to see our garden coming inside for a formal presentation that is so exuberant and cheerful.